wpsantennas.com commercial Cell Phone Signal Booster line SureCall has introduced the EZBoost Dual-Band and EZBoost 5-Band, cellular boosters that eliminate the need for mounting a rooftop “donor” antenna. The products are meant to simplify the installation process for cellular signal boosters. 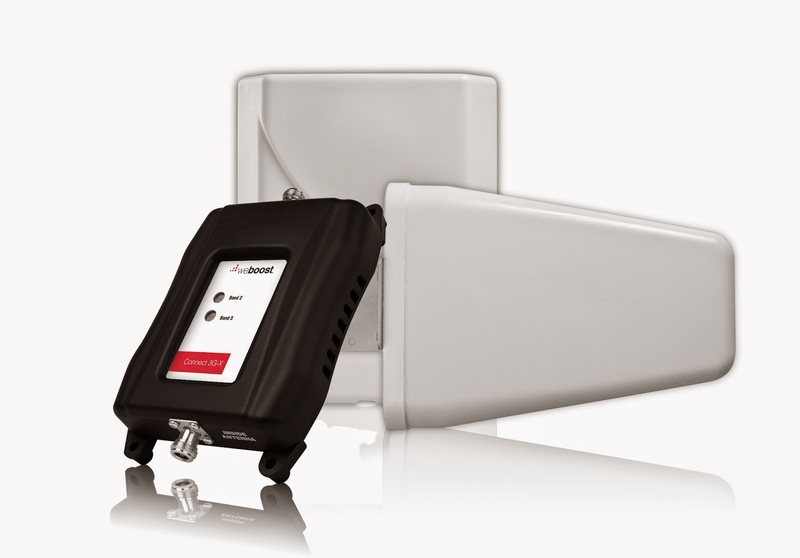 SureCall has introduced the EZBoost Dual-Band and EZBoost 5-Band, cellular boosters that eliminate the need for mounting a rooftop “donor” antenna. The EZBoost integrates the antenna into the booster case, resulting in a faster, easier, and more efficient installation with no significant reduction in performance. Available by the end of Q1, 2015 the complete EZBoost kit will have an MSRP of $560 for the dual-band model and $760 for the 5-band model. By offering consumers an alternative to the traditional mounting of a rooftop antenna, SureCall has eliminated the biggest perceived obstacle associated with cellular signal boosters. Instead, the company uses a high-gain antenna inside the booster case, and when positioned near a window, can effectively communicate with the nearest cell tower, receiving incoming voice and data signals and sending them to the system’s amplifier. The boosted signal is then distributed throughout the home or office via the system’s indoor or broadcast antenna. The EZBoost 5-Band is the first outdoor antenna free booster that employs SureCall’s 5-band technology that delivers PCS and Cellular frequency bands, AWS, and two LTE frequencies for Verizon, AT&T and T-Mobile for a complete 2G/3G/4G voice and data signal enhancement solution that supports as many as 10 simultaneous users and delivers the fastest data rates in the industry. The EZBoost Dual-Band supports all 2G and 3G standards with PCS and Cellular frequency bands providing a voice and data enhancement solution for home and office. As with all SureCall boosters, the EZBoost 5-Band and Dual-Band are FCC and carrier approved and offer superior performance with their compartmentalized design, separate uplink and downlink lanes, and high-gain antenna. The SureCall EZBoost boosters are covered under the industry’s only 3-year warranty. Today Wilson Electronics, LLC is is launching a new and exciting global brand: weBoost. According to Bob Van Buskirk, President and CEO of weBoost, "The new brand is an important step in our continuing transformation from a small and successful entrepreneurial company into a growing, global industry leader." wpsantennas.com is honored to be a partner in the weBoost product release and look forward to continued growth as one of the largest Cell Phone Signal Booster resellers in the world!